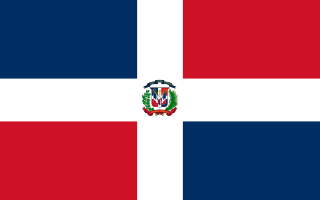 Until 2010, the Dominican Republic followed the principle of automatically bestowing citizenship to anyone born on its soil. But the court ruled that all Haitian migrants who came to work in Dominican sugarcane fields after 1929 were in transit, and thus their children were not automatically entitled to citizenship just because they were born here. The Economy Ministry recently calculated that some 500,000 migrants born in Haiti now live in the Dominican Republic, but it gave no estimate for the number of people of Haitian descent living in the country. The Dominican Republic’s total population is a little over 10 million. The office of Haitian Prime Minister Laurent Lamothe declined to comment. David Abraham, a law professor at the University of Miami, said the decision was part of a larger effort to keep Haitians from entering the Dominican Republic and to encourage self-deportation. He cited the racial differences between predominantly black Haitians and mixed-race Dominicans as well as Haiti’s plight as one of the world’s poorest countries. The Spanish-speaking Dominican Republic and Creole-speaking Haiti share the island of Hispaniola and have a long, troubled history. Haiti invaded and took over the Dominican Republic for more than 20 years in the 19th century. Then in 1937, Dominican dictator Rafael Trujillo ordered the massacre of an estimated 20,000 Haitians as he sought to expel them from the country. After Haiti’s devastating 2010 earthquake that killed an estimated 300,000 people, the Dominican Republic temporarily halted deportations and helped with relief efforts. It was a rare break in tensions that have since resumed. Dominican lawyer Cristobal Rodriguez, who opposes the ruling, said the court disregarded the principle of law retroactivity by applying the criteria of a new constitution approved in 2010 to people born decades earlier. Those affected by the court’s ruling are basically left in limbo because a 2004 law that would have addressed the status of those born to migrants living illegally in the Dominican Republic was never applied. In Port-au-Prince, construction worker Jean Ronald said he was disheartened by the ruling but wouldn’t be discouraged from crossing the border when he needs a job. Associated Press writer Ezequiel Abiu Lopez reported this story in Santo Domingo and Danica Coto reported from San Juan, Puerto Rico. AP writers Trenton Daniel and Evens Sanon in Port-au-Prince, Haiti, contributed to this report.